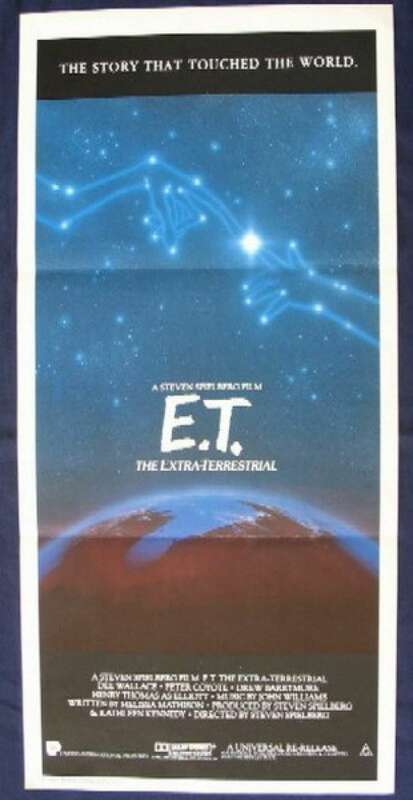 Original Australian Daybill movie poster E.T. the Extra-Terrestrial R.I.
E.T. 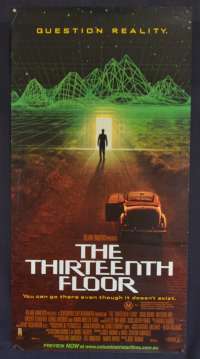 The Extra-Terestrial is a 1982 American science fiction fantasy film co-produced and directed by Steven Spielberg, and written by Melissa Mathison. 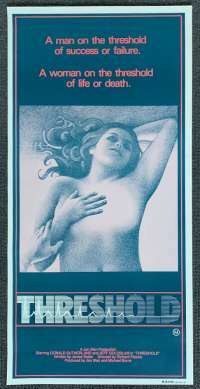 Starring Henry Thomas, Dee Wallace, Robert MacNaughton, Drew Barrymore, Peter Coyote and Pat Welsh. The concept was based on an imaginary friend Spielberg created after his parents' divorce in 1960. In 1980, Spielberg met Mathison and developed a new story from the stalled sci-fi horror film project Night Skies. Unlike most films, it was shot in rough chronological order, to facilitate convincing emotional performances from the young cast. 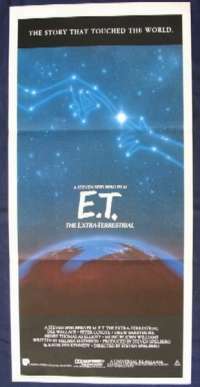 Released on June 11, 1982 by Universal Pictures, E.T was an immediate blockbuster, surpassing Star Wars to become the highest-grossing film of all time-a record it held for eleven years until Jurassic Park, another Spielberg-directed film, surpassed it in 1993. 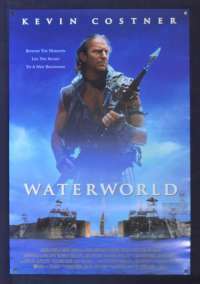 It is the highest-grossing film of the 1980s. Widely regarded as one of the greatest films of all time.